Read the newest article in Hot Rod Magazine! Featuring TWO of Mark's cars! 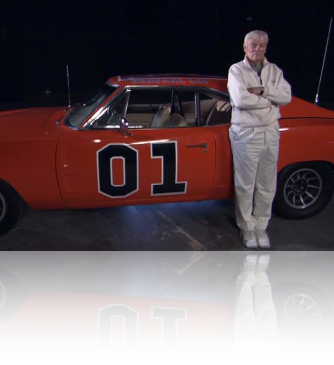 The Lost General Lee has appeared in many forms of media. In Arkansas, it has appeared on the Today's THV morning show with John Schneider, Rick Hurst and Sonny Shroyer. 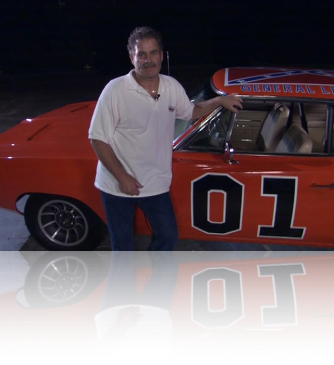 One of its best highlights has been in the Season Five DVD release of "The Dukes of Hazzard". 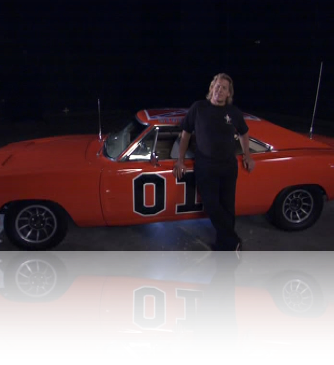 The eighth disk in the collection features a documentary on the stunt people that made all of the action scenes come together on the tv series "Dukes of Hazzard". 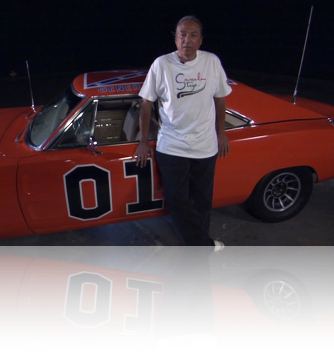 Interviews were shot at Warner Brothers in California and the lost General Lee (then owned by Gary Baxley) was featured on the set. Interviewed was Paul Baxley, Al Wyatt Jr., Christine Baur, Tom Sarmento, Henry Kingi and Gary Baxley. 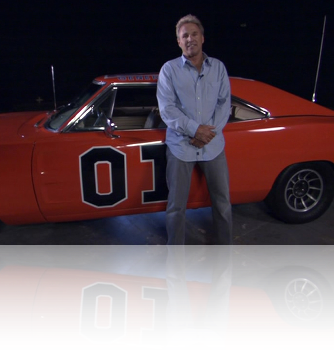 As the crew sat telling stories on camera, the lost General Lee sat quietly to the side - as if it had stories to tell of its own. At the time of filming the Smith Brothers had actually never seen the car completed - they had shipped the car to Gary in California and did not oversee the completion of the interior or minor details. They would not see the car completed until a stop over in Arkansas a year later. "I want to tell a story! I want to tell a story!" - if only the General could talk.